Mr. Daniel Kennedy, SJ is a Jesuit scholastic who is serving as the Director of Student Activities and as a faculty member in the Theology Department. He attended St. John’s Jesuit High School in Toledo, Ohio, where he was born and raised. In 2012, he completed his bachelor’s degree in philosophy and theology at Boston College, and entered the Chicago-Detroit Province of the Society of Jesus after graduation. Since joining the Jesuits, Mr. Kennedy has worked with men and women in homelessness, served as a crisis worker on Lifeline, the national suicide hotline, and completed a master’s degree in philosophy at Saint Louis University. He is happy to return back to Omaha from his good experience working at Jesuit Academy while a Jesuit novice. Fr. Thomas Neitzke, SJ, Ed.D., is the 33rd President of Creighton Preparatory School. As a former faculty member and assistant principal at Prep, Fr. Neitzke’s experience enriches Prep’s focus on its mission through both an academic and administrative lens. A native of Port Washington, Wisconsin, Fr. 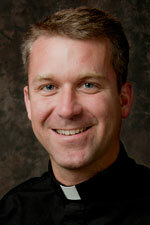 Neitzke entered the Society of Jesus in 1999 and was ordained a priest in 2010. He is a member of the Board of Trustees of Georgetown Preparatory School, Seattle University and Brophy College Prep, as well as the Boys and Girls Club of the Midlands. He is also a member of the Jesuit Secondary Education Association’s Committee on Programming. Fr. Neitzke previously served as president of Jesuit Academy, principal of Jesuit Academy and an adjunct instructor at Creighton University. He earned a Bachelor of Arts degree in philosophy and theology from Loyola University Chicago, a master of arts in educational administration from the University of San Francisco, a master of divinity from Santa Clara University, and a doctorate in leadership from Creighton University. Fr. Kevin Schneider, SJ was born and raised in Green Bay, Wisconsin and is the second eldest of six boys. 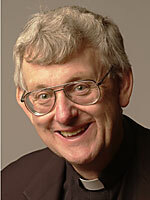 He graduated from Creighton University in 1982, the Weston School of Theology in 1993 and was ordained in 1994. He is the director of adult spirituality programs at Prep and serves as the assistant chaplain for many athletic teams. Fr. Schneider is also a lifelong Green Bay Packers and Creighton Bluejays fan. Fr. Robert Tillman, SJ is originally from Mankato, Minnesota. He entered the Society of Jesus in 1966 and was ordained in 1977. After philosophy studies. he taught and coached at Creighton Prep from 1971 to 1974. In 1978, Fr. Tillman returned to Prep as director of guidance until 1985. 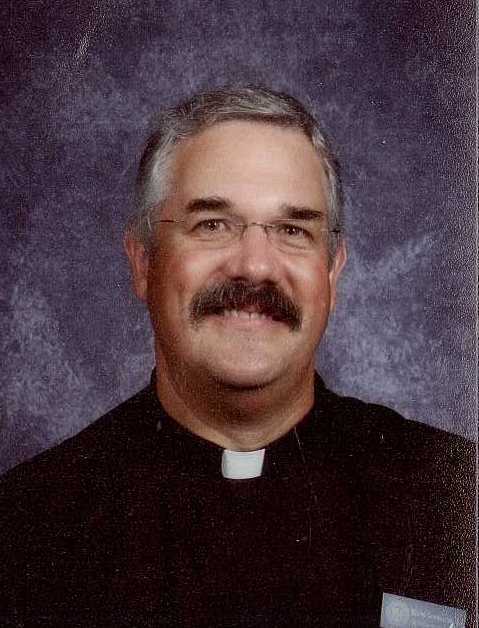 He was an administrator at St. Francis Mission in South Dakota from 1985 to 1994 and became superior of the Jesuit Community at Prep in 1994. He currently serves as the director of college counseling and varsity cross country coach.